Preamble Following a recent article by Helen Caldicott in The Saturday Paper I submitted the following complaint to The Australian Press Council. Unfortunately TSP isn’t a member of the Press Council. Nonetheless they were kind enough to review my complaint and informed me that op-ed articles are judged rather differently from news reports and that even if TSP were a member, they would take no action. Given the high number of factually incorrect claims by Caldicott, I asked for an example of a false or misleading claim that would warrant Press Council action. None was offered. Accuracy features strongly in the Press Council General Principles, but where nothing is inaccurate enough to warrant censure, then it hardly matters what they claim to give a damn about. Helen Caldicott is a well known ex-pat anti-nuclear activist. She recently (30/5) published an article in The Saturday Paper called “SA’s short-sighted view of uranium and nuclear options”. It’s some 1700 words long and a written in a gish-gallop debating style, packed full of technical jargon, sweeping and unsupported claims. (Editorial note: It was a similar performance by Dr Caldicott that turned George Monbiot’s opinion on nuclear around, as explained here and referenced in the blog post’s lead image above). It would have taken many thousands of words to respond to all of its claims, so rather than do that I wrote a 1300 word response which explains in lay language enough of the modern scientific picture of DNA damage and disease to explain why Caldicott’s three decades of predictions of nuclear catastrophe have failed dismally. I thought concentrating on explaining basic principles was preferable to a blow by blow rebutt al. That she is wrong matters less than understanding why. Erik Jensen of The Saturday Paper rejected the piece saying they didn’t have space and suggested I submit a 100 word letter instead. I later found out that he had also rejected a response from Ben Heard who was named and subjected to an ill-informed hatchet job in the article. Ben subsequently gave up arguing with Erik who refused his reasonable requests for a proper response. Instead, Ben published a piece on his DecarboniseSA blog. I decided instead to make a complaint to you, The Press Council, in the hope of getting an apology from The Saturday Paper both for publishing an article so clearly in violation of the Press Council General Principles; an article replete with misinformation and the omission of key facts. I also want TSP to publish a suitable response to Caldicott’s article; something of similar length. I’d be happy, if required, to send the Press Council a copy of the original piece I sent TSP; but what follows is a more clinical blow by blow analysis of Caldicott’s misinformation and why it breaches Press Council Principles. As I said above, dealing with a 1700 word article with sometimes multiple mistakes per sentence is a big job, so I’ll restrict myself to the most important examples which I believe violate the Press Council’s General Principles. Indented paragraphs are quotes from Caldicott’s article. [MISLEADING: solar farms use far more concrete] Construction of the huge reactor complex adds substantially to global warming as it is largely made of concrete – a CO2-intensive product. This is misleading because it omits a key fact, namely that nuclear power plants require considerably less concrete (and steel) per unit of energy than either a solar or wind farm. For example comparing materials per megawatt hour for the Spanish Andasol I solar thermal farm in comparison to a Westinghouse AP1000 nuclear reactor shows the solar farm uses 15 times more concrete (and 75 times more steel, not to mention 2,530 times more land). And this is a generous comparison, because the reactor will last twice as long, so you’ll be building the solar farm twice. [MISLEADING: irrelevant] …[a] 1000-megawatt reactor requires one million gallons of water a minute, for cooling. Again misleading. Most nuclear reactors use water for cooling, just like all thermal power stations, whether they be coal, gas, biomass or solar thermal. Any power plant which heats water to drive a turbine is most efficiently designed using lots of water for cooling. But it isn’t strictly necessary, it’s just more efficient than air cooling. Typically, many nuclear plants are on the coast precisely to make use of the water because water cooling provides efficiency gains. You may not have this flexibility with coal or solar because the former need to be near mines and the latter need to be on cheap land, which isn’t normally coastal. The amount of water required has nothing to do with whether a plant is nuclear but on its thermal efficiency and the ambient temperature of the water. [FALSE and FALSE] Thirty tonnes of radioactive spent fuel rods – nuclear waste – removed from the reactor core annually must be continually cooled for decades. Decommissioning of the intensely radioactive reactor occurs decades hence and long-term storage of radioactive waste for one million years must follow. This is wrong on a number of counts. First, nuclear waste doesn’t require cooling for decades. It needs to spend at least a year in a cooling pond and is then ready to be stored in a dry cask. Second, there is no need at all to store waste for a million years. There are choices. You can recycle it as fuel in what are called fast reactors. The Chinese expect these to be dominating the market by about 2030 and they’ll be mass produced. The waste from a fast reactor needs to be stored for about 300 years. People have been building buildings that stand for 300 years for a couple of thousand of years; and burying waste safely for 300 years is trivial by comparison. Their has been little incentive to commercialise fast reactors which recycle their fuel while uranium is cheap. The recycling gets you almost 100 times more energy per tonne out of reactor fuel. If however, you prefer uranium mining to recycling, then you you can dump the waste. First you turn it into Synroc or something similar and dump it in a hole. Geologists have no trouble at all finding areas that have been undisturbed for millions or hundreds of millions of years. [FALSE] Heard is advocating the reprocessing of radioactive fuel. This involves dissolving intensely radioactive fuel rods in nitric acid and chemically precipitating out plutonium, which would then fuel small, modular, fast-breeder reactors. Simply plain wrong. The reactor technology proposed by Heard and Edwards is the GE-Hitachi PRISM reactor. It doesn’t use the kind of reprocessing described by Caldicott at all. One of the key design parameters behind PRISM was that plutonium would never be isolated. In lay terms think about eggs and omelettes. Once you have an omelette, getting an egg back is pretty bloody tough. The fuel in a PRISM is always in omelette form and totally useless if you are after eggs. This is true both during operation and also during the on-site recycling. If you want bomb material, PRISMs are useless; as I said, this was a key design aim and brilliantly realised. [FALSE] … loss of coolant could induce a huge nuclear explosion scattering deadly plutonium. Total rubbish. Making a huge nuclear explosion requires weapons grade material and a very, very elaborate trigger mechanism. Her suggestion that a critical mass is defined strictly by weight of material is simply wrong. Again, think eggs and omelettes. The fuel in a reactor is an omelette, made of a mixture of a few eggs and lots of milk. When experts talk about “weapons grade” plutonium or uranium, the adjectives have serious import; it’s very different stuff from what you find in a power reactor, it’s like pure egg yolk. Add even a little milk and it simply can’t go bang. [FALSE] The South Australian population would be likely to experience epidemics of cancer, leukemia, congenital anomalies and genetic diseases through future generations as the waste inevitably leaked. How can Caldicott claim leaking waste is inevitable when no site or design has even been proposed? She’s simply making stuff up and she doesn’t even bother to provide either an argument or shred of empirical evidence to support it. How could something solid and buried in a rock formation that has been relatively stationary for hundreds of millions of years suddenly move? And not just move, but travel in significant amounts and in precisely the right direction to encounter a population center and create havoc? Caldicott is silent on how this could happen. And even if the impossible was to occur, there’s excellent evidence that it wouldn’t cause the health problems Caldicott suggests. There were a couple of hundred thousand survivors of the atomic bombings of Hiroshima and Nagasaki whose subsequent health has been well studied. They got a bigger radiation exposure than anything possible from tiny amounts of miraculously mobile waste from under thousands of tonnes of rock in any conceivable waste dump. Did they experience any such epidemics? No. Their overall cancer rate rose just 11 percent. It affected how some of them died, but had little a ffect on when. The median loss of life was about 2 months for those with an exposure below 1 Gray (and this is a rather large dose!). Is that an epidemic? Had they not survived the atomic bomb but instead moved to Australia, their cancer rate would have risen about 50 percent. Japan’s cancer rate is rising as she abandons her traditional lifestyle(s) but it is currently 217 per 100,000 per annum. Australia’s rate is 323 per 100,000 per annum and it is well established that migrants gradually take on the cancer and most other disease rates of their new country. [MISLEADING FEAR MONGERING] The extremely dangerous elements in this waste include plutonium-239, existing for 250,000 years and so toxic that one-millionth of a gram is carcinogenic. There would also be americium-241, even more deadly than plutonium, as well as strontium-90 and cesium-137, lasting 300 years. This is fear mongering, plain and simple, without any attempt to compare or quantify the size of the actual risk. The chance of flipping a coin and having it land on its side is tiny. Doing it two or three times in a row is impossible under any reasonable definition of the word. So given the number of low probability events that have to occur sequentially for any significant quantity of waste to come into contact with anybody, it wouldn’t matter how carcinogenic the stuff was. But is it really so bad? There is no shortage of human studies on the tens of thousands of people that have worked with and been exposed to and ingested plutonium, mostly during the cold war between 1948 and the mid 1970s. Workers exposed to plutonium between 1947 and 1975 at Sellarfield in the UK had an overall cancer mortality lower than the national average for England and Wales. You can tell how much people ingested by measuring the level in their urine. One group of plutonium workers in the US called themselves the UPPU club (You Pee Pu). Did they have extraordinary cancer rates? No. Plutonium is a carcinogen, as is bush fire smoke, but unlike the latter, it is well controlled, easily avoided and doesn’t carry all manner of immediate risks including that of sudden death to asthmatics. Similarly with Americium-241 and the rest. Am-241 has all kinds of industrial uses and is widely used in domestic and commercial smoke detectors. If you don’t eat your smoke detector you won’t have a problem, and if you do, the Americium is in a dioxide form which will go straight through your system; it will be the least of your problems. [FALSE] Yet this is a carcinogenic industry that must be halted immediately in the name of public health. The net health contribution of nuclear power is overwhelmingly positive; it is a significant contributor to improving public health. The nuclear industry has prevented at least 1.8 million premature deaths during the past 40 years by replacing coal. This is very much an underestimate because nuclear is now displacing wood as a fuel in India and China and wood is horrific as an energy source … killing about half a million children and another three million adults annually. It’s a renewable energy source that is quite deadly. It typically kills people long before they are old enough to get cancer. [FALSE] The people advocating a nuclear South Australia have no comprehension of genetics, radiation biology, oncology and medicine. Or they are willing to ignore the risks. Does she support this astonishing generalisation with evidence? No. Did The Saturday Paper ask for evidence? Presumably not. 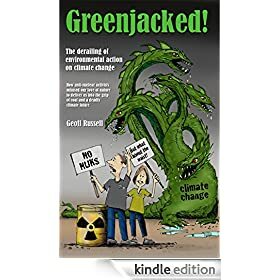 My recent book GreenJacked presented a considerable amount of information about DNA, genetics, radiation and epidemiology. It was endorsed by Nobel Prize winner Professor Peter Doherty; who knows a considerable amount about all of the subjects Caldicott mentions. The question isn’t one of ignoring risks but quantifying them and comparing with alternatives and many people consider that the risks associated with climate change are considerable while the risks associated with nuclear power are not only small but considerably less than those associated with alternative energy source when properly quantified. If anybody wants to argue that nuclear power risks imply we should solar power (for example), then under the Press Council General Principles, you’d expect the risks associated with solar would be a key fact requiring mention. Pointing to the horrors of bicycle accidents and suggesting that people should switch to roller skates would violate this principle. Caldicott ignores renewable energy risks when even a few moments thought would suggest they are considerable. Rooftop solar, for example, is an extremely dangerous energy source. People, ladders and heights has long been a dangerous combination. It isn’t clear how many of the 7730 Worker’s Compensation claims for serious injury in 2010-11 resulting from falls from a height were associated with solar power, but even if were just one percent, it’s a serious problem, particularly when you con sider it in proportion to the small amount of electricity produced. It’s not easy to compare possibly losing two months off your life due to a radiation exposure with a couple of decades, or more, in a wheelchair, but I know which I’d prefer. The Advertiser has run quite a few stories about the Nuclear Royal Commission since its announcement and has been very careful to make sure op-eds are balanced. Typically a half page by one side goes with a half page by the other. The Saturday Papers arrogant disregard for fairness is only matched by its appalling lack of any kind of fact checking of Caldicott’s piece. It is perhaps the ultimate irony that TSP uses “The whole story” as its website tagline. Some simply will not read, even material that is presented clearly, rationally and patiently. That is precisely why a Royal Commission is an essential step towards impartial review of the evidence. Thanks again to Geoff for his meticulous work and depth of knowledge. Excellent article, but the best punchline which deserves its own column is just why does the public so readily eat such FUD with relish?? Is it possible that the TSP has a contract with Caldicott which says they won’t print a rebuttal or retraction? They might sign such a thing to get an article from a “celebrity”. Worth investigating, I think. Most of the world is going to need nuclear fission energy as well as renewable sources, and sooner than most folks seem to think. That is, we will need some fission capacity until nuclear fusion becomes commercial, whenever that may be. Why the apparent competition reigns with the renewable clique I am not too sure. There are far less health risks with nuclear fission than we are facing with BAU emissions and relying on 100% renewables is a big risk in itself. I can well understand how those who are committed to endless economic growth will go along with any source of energy as long as we can keep on growing. I think the Pope has taken an opposite view in his recently issued encyclical. Thank you for your facts and analysis. And, thank you for confronting the anti-nuclear power hysteria. posted 19 June 2015 at 8:59 AM by Rick E.
This thread is not really about the limits of growth discussion, although there is certainly a connection. That connection includes consideration of fairness. It is not fair to expect the world to budget for the same or reducing energy use overall, if a corollary of this is that several billions of the very poorest are denied access to that which the top 30% take for granted – especially safe and reasonably reliable or at least accessible electricity amongst them. 4. Daydreaming about 7 billion people somehow managing to return to a low energy subsistence lifestyle. Tell that to the “1 percent”. Through a process of elimination of failed alternatives, it is clear that the world will be a much healthier, fairer and sustainable place with fission powered electricity than without it. That only leaves questions about the details of what, where, when and at what cost. This is not to say that population reduction, renewables, Papal encyclicals and more are not worthwhile, only that any combination of these without expanded reliance on nuclear power is sub-optimal. Perhaps the Royal Commission should issue a subpoena, summoning Dr. Caldicott to submit evidence under oath? I wonder what she would present as truthful, under examination, or is she permanently delusional? In September 2014, Professor Barry Brook, supported by a large international group of like-minded scientists, implored environmentalists to consider the merits of all methods of energy production, using the appropriate technology for each application. Obviously solar power and wind power are appropriate for application in remote areas, where grid-supply is uneconomic and battery-backup or pumped storage is practicable. I have myself put up a cost-benefit case to convert households to off-the-grid solar power – since households consume (I believe) 30% of Australia’s power, it would seem to be an obvious method of achieving our target for reduction of CO2 emissions. But, if we are planning to meet our base load power requirements, we have to consider the appropriate technology which will deliver a continuous supply of energy. Without fossil fuels, we are left with hydro power, geothermal energy, and nuclear fission energy. Nuclear fusion is, and always has been, at least 25 years away. Unless we wish to end up with a Pol-Pot economy, we must stop wasting our precious time, in refuting the arguments of enthusiastic single-minded lobbyists. Ask her to substantiate her claims. 1gm of Plutonium hmmm. Are we talking chemical or radiological toxicity Helen? Did you know Helen that 1gm of 244Pu has about the same intrinsic radioactivity as one m3 of garden soil? Are you aware Helen that estimates of the radioactivity release from Fukushima – maybe 500 PBq is about 1/30000th of the natural radioactivity in the oceans of 1/25 millionth of the natural radioactivity in the Earth’s crust? How exactly would this cause, as you have claimed, the northern hemisphere to become uninhabitable? I received distinctions for genetics at uni (true). if you are an expert, could you please explain the role of molecular tautomers in mutation? It’s not as simple as that. The second time you build it you could probably reuse most of the concrete from the first time. Also the nuclear reactor uses much higher grade concrete, with a higher cement content. So in terms of concrete use, nuclear still wins, but not by as much as you’re claiming. And of course it’s possible to build a solar PV plant without any concrete at all; the same can’t be said for nuclear. On the issue of land, of course, nuclear’s a clear winner. But SA has no shortage of available land. Clve M. Pearson, some of your comments make no sense. If the grid connection is there, it makes sense to use it and gain economies of scale (and reduce the amount of storage needed). Grids also increase the scope for demand management (using more power when electricity is cheap and abundant, and less power when it’s expensive and relatively scarce). This has for decades been done in a crude way (with water heaters that switch themselves on at midnight) but now we have the technology to vary demand in much more sophisticated way in real time. We don’t have base load power requirements, we have fluctuating power requirements. Continuous baseload power is one way of meeting those requirements, but it is far from the only way. Base load: The minimum amount of electric power delivered or required over a given period of time at a steady rate. If a requirement for this does not exist, and will not exist in a (hopefully) more electrified future where societies are accomplishing more work with carbon free electricity, you might consider explaining why. Frank and Aidan are describing the same animal, but viewing it from opposite ends. Base load, as described by FJ is a correct initial assumption. However, base load power plant (coal, nuclear and certain must-run hydro, for example), are not incapable of load following. Hence, base load power is able to vary, over time, as the demand changes. AS, on the other hand correctly identifies the operational need to either manage demand spikes and drops so tat the system can stay in balance, or to add variable additional resources such as batteries, hydro, gas turbines, to meet the demand minute by minute. IMHO, AS is more correct in his observation than FJ is with his simplistic definition. The true meaning of the phrase “base load” when used in conversation is a matter of personal opinion. When used in formal analysis, it must be defined – either simplistically or nuanced. It’s not as simple as that. The second time you build it you could probably reuse most of the concrete from the first time. Also the nuclear reactor uses much higher grade concrete, with a higher cement content. These statements are highly misleading. The amount of concrete that is recycled or reused is negligible or nil. If you believe your statement is correct, please provide links showing the proportion of concrete that is recycled or re used on major building sites (including on renewable energy plants, such as hydo dams). A reminder that the French do load follow with their nuclear power plants. Peter, what I mean is that it isn’t the concrete of the solar farm that will only last half as long as the reactor. When the rest of the solar farm will need replacing, most of the concrete will still be there and usable when the solar farm is rebuilt. Reuse of concrete sometimes occurs for the ground slabs of commercial and industrial buildings, though it’s far from the norm because the new requirements are usually quite different from the old ones. Recycling of concrete is more common, though its uses are typically low value. David, that’s good to hear. How do they handle the problem of xenon 135? No. That’s not correct The foundations for solar farms and wind turbines. are not reused. Designs change and the old structures are not re used. For example, you can’t put 3 MW win turbines onto footing designed for 150 kW turbines. I’m glad you were speaking scientifically, because any other reading of this sentence would be a Bulverism! ;-) Sorry, just a comment on one of my favourite terms for a logical error. Other people call it ‘playing the man and not the ball’ or a character attack, but I rather prefer the term Bulverism. Anyway, great article, and awesome image of Dr Helen Caldicott caught in mid-screech! Off topic: A nuclear joke I heard recently that neatly summarises safety. “Three Mile Island wouldn’t have happened if the operators had been awake, and Chernobyl wouldn’t have happened if the operators had been asleep.” A little trite, but neatly summarises just how appallingly Chernobyl was sabotaged by bad design then idiotic practice. As IF people can just nuclear power by Chernobyl! Aiden, the most likely reactor design for mass production, the NuScale, does not require concrete at all. It is a long, largely steel structure, part-floating in water. Although the pool might be most cheaply constructed with concrete walls, it could also be a steel caisson, especially if the reactor (and caisson) is planned to be moved from one site to another during its lifetime. High strength concrete is made by carefully grading several sizes of aggregate to minimise the interstitial volume, and consequently may have as little as 10% w/w cement. This level of efficiency is less likely with a small contractor putting in the footings for solar panels. It is true that xenon-135 soaks up slow neutrons, inhibiting slow neutron reactors from a rapid start up after a sudden shutdown. Military (submarine) reactors solve this problem by having excess reactivity that would not be tolerated in a municipal power station. Xenon is no problem for fast reactors such as the French Superphenix, which would have been able to balance the renewables so beloved that of the Greens, had it not been killed by Green terrorists during construction. As a structural engineer, I agree that the cement content of small footings is not much different, per cubic metre, than for higher strength mixes. As one with experience constructing three solar thermal farms on overlapping sites, I confirm that there was absolutely zero re-use of footings. Peter is correct. If the facility lasts only 15 years, the design of the collectors will have progressed well past the original design. I have no experience of wind farms, but it would be amazing if any re-use of old footings for new plant is possible. Possibly 75% re-use of steel, plus 50% re-use of the concrete, eg as a crushed road base, might be achievable in the real world, but given that these things tend to sit on top of ridge lines, far away from recycling facilities, it is probable that the economic and thus expected outcome will be that the concrete foundations will simply be left where they are. One reference for material re-use following demolition of coal fired generators can be found in http://www.nrel.gov/docs/fy99osti/25119.pdf. See Table 18, Page 24. I know of nothing similar for wind, PV or Solar Thermal. On the issue of load-following, I will note that the Shippingport Light Water Breeder Reactor trials found that there was no problem with xenon transients, apparently because most of the 137-Xe from fission of 233-U is generated directly from the decay of 137-I. I have to admit that the LWBR remains one of the most interesting developments of the post-1965 period, because it shows how the thorium fuel cycle can be backfitted into existing reactors, without waiting for a new generation of technology. Indeed, I wonder why the French have not already taken this route, considering their continuing struggles with the inherently awkward economics of extracting plutonium from LWR spent fuel. Helen Caldicott – Your poor heads is just full of radiophobic nonsense in believing you can separate out ionising radiation from all other sources of mutagenesis. Believe me – you’ve got more reasons to worry your silly little head about some of these other sources (present in every breath you take) than worrying about the problems you will personally experience from nuclear power. Double don’t forget – Radiophobia Kills!!! Fukushima radiophobia deaths – 1800!!! Fukushima radiation deaths – a big fat 0! There’s no need to get tangled up in the technical details of how plants are designed and operate. Nuclear plants can load follow if designed to do so. They’ve been doing it for 60 years – think about how nuclear powered ships stop and start, go fast or slow, and come into dock unassisted. No problems. The Virginia class subs have one fuel load for life (no refueling ever) and are fully controllable for their whole life. So nuclear has full load following capability if we want to design it that way. But there is no need until nuclear is supplying around 75% of the electricity. Electricity from the whole system is cheaper with nuclear supplying baseload (up to about 75% of all electricity, like in France) and the rest provided by hydro and gas. That’s the least cost way to get low emissions electricity. Note that France has proven that for at least the last 30 years, has near the cheapest electricity in Europe and the lowest emissions intensity (just 8% of the emissions intensity of Australia’s electricity). My comments related to solar, not wind. Early experimental designs are likely to be significantly different from series production ones. But once the technology is mature, I wouldn’t expect big design changes. Unlike wind turbines, where we can make them more effective by making them bigger as our ability to make them bigger improves, most cost improvements for solar thermal are likely to come from economies of scale in production. And if money can be saved by reusing old foundations, it makes sense to do so. You are waffling and trying to make an argument for a miniscule difference in total material quantities. The material quantities needed for solar are an order of magnitude greater than for Gen II and Gen III nuclear (for the same energy output through life). However you make it clear you know nothing at all about the subject. You are simply making up assertions. One of the reasons Peter might not be more active is he might not regard expending the considerable effort required to keep the obstinately innumerate on track as worth his while. Aidan has absolutely no reason to believe that 15 to 30 year old concrete foundations will be suitable for future builds. This applies to PV, CST (Concentrating Solar Thermal) and wind. Everything evolves and moves on. This is, of course, true for all structures. 40 years back I designed the first rammed earth and mud brick buildings that some NSW local councils had ever considered, yet they were approved – every single one of them. None would be built the same if designed today. I also designed aluminium, masonry, steel and timber structures which would not be contemplated today. There is absolutely zero chance that future PV, CST or wind turbine foundations will be designed in 2030 to be installed on 15- or 30-year old concrete foundations which were designed by a previous generation of structural engineers. The last CST plant I worked on had precisely zero concrete in its foundations. The earlier ones had either concrete piles or concrete strip footings (horizontal beams). I would appreciate it if Aidan would at least read what I write before criticising. Perhaps it matters how she says it. Helen Caldicott does sound like a charismatic preacher. The words hardly matter, they are just text for the performer. In a theatre, it is her passion that inspires, uplifts and reassures them of their righteousness. The audience feels they belong in select community that alone is free from guilt. That her words seem to confirm what they were afraid of serves little more than give her the right to their attention. Perhaps we should ask, how do we supply the attention of the same audience with an equally inspiring speaker speaker who instead taps their fears of a wounded greenhouse and an angry climate? This has been THE main problem with public nuclear acceptance and support almost everywhere. No public pop-culture champions or nuclear Carl Sagans espousing nuclear’s virtues and putting its issues in perspective for fighting FUD. Nuclear has a sterling safety and environmental and operational record — even worst accidents combined — that most all industries would dearly wish for, yet nuclear’s constantly behind the eight ball in the public perception department. Why do people so believe that reactors are giant eggshells that just can’t wait to blow? How is it that “science” TV programming always focuses on nuclear’s dark “perils and hazards” unchecked and do gross misinformation such as asserting that Niagara Falls powers Toronto while totally omitting that it’s nukes doing the job? If global warming was such a critical environmental emergency why aren’t these shows and politicians hawking nukes more?? Total lack of public education and AGGRESSIVE PR. Unfortunately most in the nuclear community and industry are far more focused on hardware than peopleware. I mean the NEI and ANS and other nuclear orgs hold all these back-slapping meetings and conferences where addressing battling FUD is just a side show mention if at all. Totally zero battle plans outside token nuke PR Tupperwear parties. In an odd Darwinian way I can’t blame Helen and Arnie and Greenpeace and FOE & Company for getting over deceiving the public the way they have, totally unchallenged. They’re simply filling a PR niche that the nuclear community should’ve plugged and ruled since TMI — and yet to. There’re no captains on this ship. Most 135Xe does indeed come from 135I but I’m not sure what difference it makes? As I understand it, 135Xe has such a massive X-section for the absorption of neutrons that it has a half-life of about 1 hour for neutron absorption, whereas it has a half-life of 9 hours for beta-decay to 135Cs. So most 135Xe absorbs a neutron & becomes 136Xe. I find this table very useful https://www-nds.iaea.org/relnsd/NdsEnsdf/neutroncs.html You can see just how much higher the probability of neutron absorption is for 135Xe than any other nucleus. You can also see that it’s high for 113Cd & for a number of isotopes of Samarium, Europium & Gadolidium, explaining why there is little of the radionuclides 151Sm & 155Eu in reactor waste. I agree with Colin Megson. Ms Calldicott appears to be suffering from a severe case of Radiophobia. I wonder if she ever exposes her skin to direct sunlight or travels by plane. I tried to watch a presentation from Ms Caldicott but could not get past the hyperbole such as ‘ do not believe anything that the Nuclear Industry tells you it is all lies.’ She did not provide one fact to support the above statement. I also agree with James Greenidge. The narratives explaining the safety and the facts about nuclear radiation do not sell newspapers or in other terms are not dramatic enough to fill the space between the ads. In relation to our pop culture scientists very few of them devote any time to explaining radiation. I wish that I could get involved with a Sci-Fi series and instead of having a Warp drive that we could have a Thorium drive. Hell what chance do we have the spell checker is underling the word Radiophobia. It is Radiophobic as well. Here is a link to a site showing the five most radioactive naturally occuring areas in the World. I wonder how Ms Caldicott would explain the fact that there is no higher incidence of disease in these areas than other less radioactive area. Helen Caldicott’s biography shows an impressive track record in the non-proliferation movement, starting in the days when nuclear reactors really were used to make bombs. Although her message seems to be “stay afraid!”, I think her motivation and of her backers is prohibition. That is, to prohibit the spread of the means to make bombs. Stopping warfare is a noble sentiment, no doubt shared by most of her audience. However other voices could persuade the same audience that fissile materials require policing, not prohibition. Actually, if Dr. Caldicott was really interested in the use of advanced technology for warfare, she would be more successful and believable and impressive if she opposed oil drilling, oil refining, oil storage, and oil distribution. There has been, in all of human history, one and only one nuclear war. In fact, if one looks into the matter, at least where the interaction between Japan and the United States was concerned, one can discern that the motivation for commencing this nuclear war, in part, was the American decision to cut off oil supplies to Japan, thus inspiring the Japanese to attack the American fleet in order to protect its flanks as it drove on the oil fields of what was then the Dutch East Indies, modern day Indonesia. Before and since that nuclear war, incredibly huge numbers of people were killed using oil diverted to make weapons of mass destruction. Oil terrorism remains a feature around the world, in the United States, notably at the World Trade Center and at Oklahoma City, which represent the largest, and second largest terrorist events ever carried out in the United States. By contrast, nuclear wars are no longer observed. There is nothing, absolutely nothing, impressive or worthy of esteem in this awful ignorant person, Helen Caldicott. She is a destructive force in her own right, a physician who is glossing over the 7 million people who die each year from the effects of air pollution while engaging in a pixilated, confused, and scientifically illiterate appeal to ignorance about radiation, which by the way, if she shut her mouth and bothered to open a science book, she could learn is ubiquitous from natural sources. If we really want to monitor and police a dangerous substance, we need to monitor oil. In terms of terrorism, in terms of warfare, in terms of inspiring causes for war, nuclear materials are relatively a non-issue when compared to oil. Of course, people don’t normally think this way, but if you reflect for a moment, you should immediately recognize this truth, merely by counting. The fact that one doesn’t do so is a reflection of the success that ignorant and dangerous people like Caldicott have had with their continuous and unceasing appeals to fear and ignorance. Quite. Sometimes I wonder who funds the non-proliferation propagandists. One aspect discussed here I believe to be largely misleading is the comparison of power sources in terms of CO2 emissions during the construction phase. It seems to me that the amount of CO2 emitted in the production of cement and steel is largely dependent on the power source for such factories. Indeed if coal is used, I have no doubt the CO2 emissions figures are accurate, however if, for example, nuclear reactors were to power such factories would not the CO2 production be greatly reduced? So why assume that coal is the only possible power source for industrial production? Any comparison of CO2 emissions by power source would be more accurate by assuming that future construction of any given power source is to be bootstrapped from previous installations of said power source. Ike’s point has come up several times in the past on this site. Australia has no nuclear power generation at present and, nationally, generates 9/10ths of its electrical power by either coal or open cycle gas turbine. Our wind, solar and hydro power are already fully utilised. Thus, notionally, any additional demand will be met by coal, oil or gas. Thus, coal is not an inappropriate upper bound for discussion of a first build of nuclear power. As the percentage of low-carbon generation increases, a point will be reached where increments in generation capacity will be nuclear and/or renewables. That point, IMHO, will be when nuclear reaches about 10%, or about 6GW installed nameplate capacity. Depending on the nuclear power pathway followed, the first 6 to 10 Australian nuclear power plants will thus be constructed from materials manufactured using Australia’s existing surplus coal powered generation capacity. Different systems, with either higher hydro or significant existing nuclear capacity, might be on a higher rung of the ladder than Australia and thus have lower carbon intensity for inputs such steel. Examples include Ontario and France and, to a lesser extent USA generally. Concrete will remain problematic because not only is natural gas or diesel typically used as a heat source, but substantial quantities of CO2 are emitted from the limestone (CaCO3) due to essential chemical reactions during manufacture of normal portland cement, which is a primary ingredient in structural concrete. There are hopes for future technological advances in high fly ash and/or alkali concrete and resultant decreases in carbon intensity in the finished concrete structures, but at present these remain largely hypothetical. Remember also, that nuclear power plants need to last for 60 or more years and thus are not ideal trial locations for novel technologies. A lot of experience with low-carbon concretes will be needed before they can be used in large, high hazard structures such as nuclear power plants, long span bridges. These things take a long time. Singletonengineer is correct about the manufacture of portland cement in that the manufacturing process itself emits carbon dioxide. But the long term question is not about eliminating all process’s that emit CO2 and other atmospheric pollutants but managing the amount of these present in our atmosphere in order to sustain our climate within the bounds that we can control it. Nuclear energy,apart from being a primary energy source for our world economy, provides non carbon based energy to remove CO2 etc from our atmosphere allowing us to manage the sustainability of our environment. Singletonengineer make a good statement IKE on CO2 from Portland cement production as regardless of what energy source the manufacturer’s use the process itself emits about 50% of its total emissions by way of reducing limestone to quicklime (calcium oxide CaO). However there is at least one company that is producing a so called geopolymer cement that can bypass that process reducing the emissions by around 80 to 90%. Check out Zeobond for instance in Melbourne. Steel manufacture from ore also has a process CO2 release issue when reducing the iron ore to pig iron, the base material for steel. This works out at around 57% of the total according to IEA Clean Coal Centre. Recycling steel and iron rather than manufacture can reduce the CO2 burden overall by 78%. Recycling aluminium only uses only around 5% of the energy of that to produce it from the bauxite ore. So if fossil fuels are used the difference in emissions between the two processes in enormous. From the ore, the manufacture of the base material for just four aluminium cans can consume around 1 kWh of electricity. Mike Ives – concrete also can be recycled. Depending on the size of the chunks, it must be soaked for long periods in such as an exhaust flow, hot enough to raise the core temperature above 110°C and hold it there. The weakened chunks can then be crushed, tumbled, seived and washed. The fines would then be low-CO2 input to a clinker kiln. The washing must be thorough, so that the next generation of concrete will not set prematurely (weak). Such aggregate has high demand, but so has the area that would be needed for slow soaking. While we need concrete in reactors etc, why not build more skyscrapers out of wood? Can lead to an enormous reforesting business worldwide, and an enormous sequestration of Co2! It drastically reduces the labour costs associated with buildings as it can go up so much faster. Mike, it was a laboratory experiment years ago, to break out and clean aggregate from baked concrete. I didn’t address the problem of how to bake massive ragged concrete. Since then the deconstructability concept of separable slabs makes that easier. The old cement was diluted somewhat by the aggregate-fines but I see no reason why it should not be used as feedstock for a new generation of cement clinker. A large amount of the carbon cost of Portland cement is the use of a (carbon-inefficient) rotating kiln to make the clinker. In contrast, Fondu (fused) cement is made in a reverberatory furnace, which would be easier to substitute with nuclear electricity. Concrete is much more interesting than the contents of a Caldicott head.